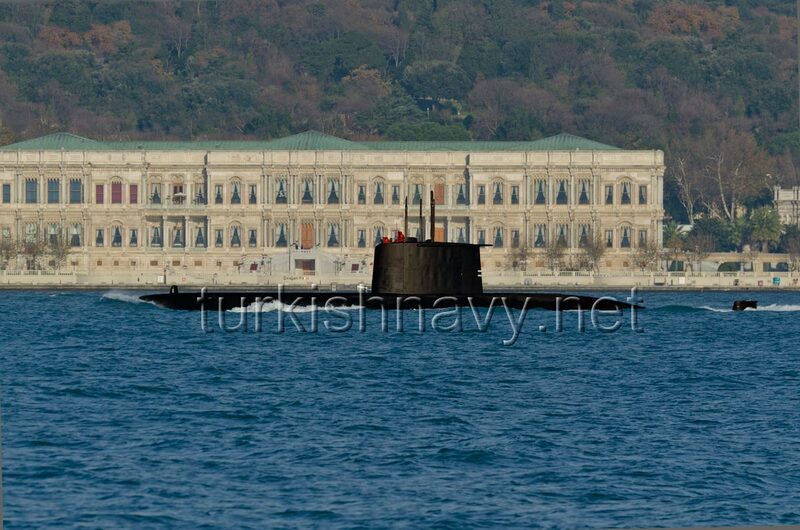 On 26 December 2012, in the early morning hours, one Turkish Type 209/1400 class submarine sailed through Bosphorus to Marmara Sea. Since Turkish Navy stopped painting the pennant numbers of the submarines, it is impossible to identify each individual submarine anymore. While this new painting scheme helps the submarines to blend and prevents IR/FLIR/LLTV using trackers or electro-optic directors any high contrast target, it makes ship spotting difficult. Guzel fotograf Devrim! Istanbul is a fantastic place to spot naval ships from “unusual´´ countries! I have been there recently and I spotted some surface ships from Ortakoy´s seaside! Were you able to make some photos of the surface ships you have spotted in Ortakoy? Thank you very much for your kind words.